It’s Popsicle Week! If you didn’t catch last year’s Popsicle Week, Billy dared to dream the dream and brought 26 bloggers together to make delicious frozen pops. This year has grown to 37 bloggers and that means 37 popsicle recipes for your summer! It’s warm in Michigan and quadruple testing this recipe was the best kind of summer research. I have a big freezer bag full of these and it makes me happy. Four batches means 40 popsicles and even though I’ve eaten so many, I still love them. And excellent news, each version was Taystee. Everyone loves thai peanut sauce, right? While I was brainstorming popsicle ideas I realized it would make a perfect sweet and creamy popsicle. The coconut milk and peanut butter give these a dreamy consistency without any dairy and I added a touch of lime and cilantro for another subtle layer of flavor, but it takes these guys to the next level. I used coconut sugar to sweeten them and it worked perfectly, but you can sub in turbinado or regular sugar. I also added some chopped peanuts that I think are a nice surprise as you bite into them. They’re vegan and just waiting to be your summer popsicle. In short, make these! Don’t forget to check out the 36 other amazing popsicles you can make. Thanks to Billy: popsicle king, summer-improver, Real Housewives gif lover and bff to all food bloggers for dreaming up popsicle week. I use this Progressive Popsicle Mold and love it. It’s an Amazon affiliate link that won’t cost you any more money, but I’ll get a little kickback if you use the link and that helps me run this little blog. Thanks for supporting Dula Notes! I’ve used Trader Joe’s light coconut milk in this recipe with great success, too, but full-fat coconut milk will yield creamier pops. You can substitute regular sugar for the coconut sugar, but I suggest using less 3/4 cup because coconut sugar is less sweet. Use a natural peanut butter that just has peanuts and salt in the ingredient list. If your natural peanut butter contains just peanuts and no salt, add a good pinch of sea salt to the mixture before blending. If you forget to soak your popsicle sticks, add the sticks after the pops have been in the freezer for an hour. Soak popsicle sticks in hot water from the tap for an hour (this will keep them from floating up). Add coconut milk (shake can well before opening), coconut sugar, peanut butter, cilantro, lime zest and lime juice to a blender. Blend on high for 30 seconds. Add 1 teaspoon of chopped peanuts to each mold. Pour popsicle mixture into each mold. Put lid on the mold and insert soaked popsicle sticks. Freeze pops overnight or for 4-6 hours. When ready to eat, run each mold under hot tap water for a few seconds and pull the stick to loosen popsicles. Store pops in a large freezer bag for several weeks. These are blowing my mind right now. BLOWING MY MIND! I need these beyond words — if I ever get a popsicle mold this might be first on my list… until then, I’ll just start dreaming about an ice cream version. Love these so much, Nicole! Yes yes yes! I LOVE the idea of turning one of my favourite savoury flavours into dessert. I mean, why have one course when you can have two?? 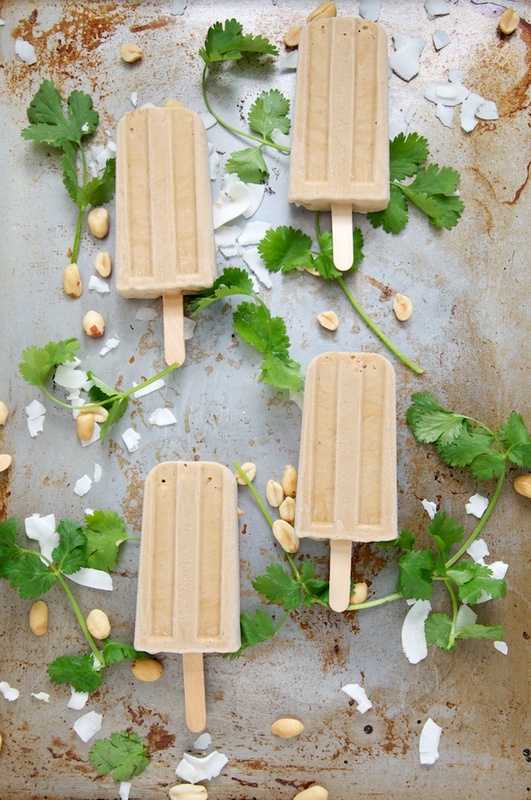 I’ve been obsessed with Thai peanut sauce lately and had never even dreamt of putting it in popsicle form. GENIUS!! Girlllll, YES to these pops. Love ’em! Hell yea to Thai peanut popsicles.. I mean this is everything Nicole.. Love! I was hoping this crazy idea would pay off and I’m glad you approve! Thanks, Lyndsay! Can’t wait to see your pops! I’ve been using a lot of coconut sugar lately and I love it! These are perfect for a peanut butter fiend! My husband doesn’t like popsicles, either, and it’s just not right 😉 He doesn’t like biting into cold things, meh. What a unique flavor combination for a popsicle! Genius. I need to make these. I LOVE this idea! The coriander? Genius. Thanks so much, Sarah! 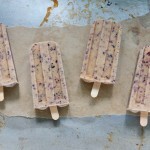 The coriander is subtle, but it makes these pops special! Oh yay! 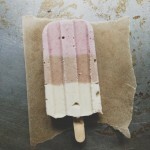 Accidental #popsicleweek posting is awesome. You’ll have to join us next year! Mind blown!! I’m thinking next week, vegan thai peanut popsicles need to happen? 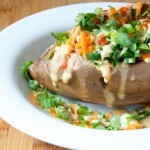 And yes, everyone has to love thai peanut sauce. Thanks, Alana! Your pops sounds so good, too! Thanks, Gina! 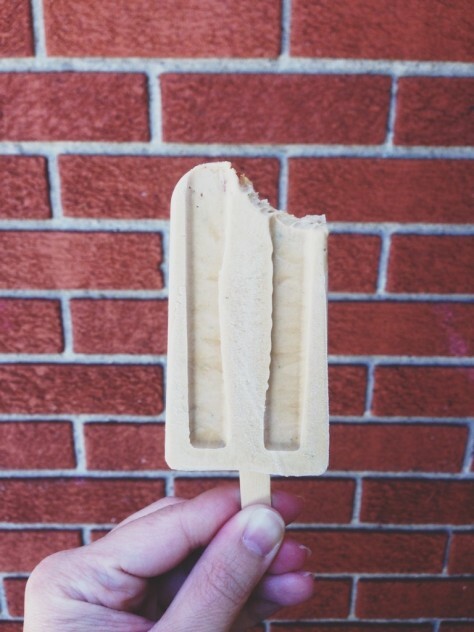 #Popsicleweek is the best and I can’t wait to check out your blog and pops, too! Glad you’re loving them, Melissa! Coconut milk is a miracle! These popsicles look amazing! Love the Thai flavour in the recipe- amazing! Also: major bonus points for use of the Taystee GIF. My dream is to have one of these after a big plateful of Pad Thai. Yum! Do it! You just know how to live, Noelle! 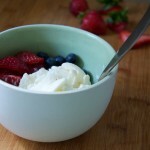 Did you use sweetened or unsweetened coconut milk? I bought the unsweetened but before I blend away I thought I’d check. They sound fabulous BTW. Unsweetened! I’ll update the recipe, thanks! I made these today and they are awesome! I’ve eaten two already. The cilantro measurement is missing a word (cup?) so I just kept adding and tasting until it tasted good to me. These will definitely be made again. Thanks for the great recipe. Tonight is the 4th time I’ve made this recipe since Popsicle Week. I’ve taken them to work, given them to friends and everyone agrees – they are the bomb. I’ve shred this recipe link a bunch of time. Good job. Yay, Elizabeth! I’m so glad you love them! Bonus points for bringing frozen treats to work 🙂 Thanks for letting me know! Mentioned on: 50 Summer Recipes on How To Make Popsicles | Its Jello! This is so delightfully unusual! I must make this right away! Umm hellllo this flavor combination is blowing my mind! !